DiBiase and IRS began wrestling together at the end of January in 1992. I think this was a good move for both of these wrestlers as their characters were not gaining much traction independently; however, putting them together, they reignited their careers and had a good push. When the team was formed, the Legion Of Doom (L.O.D.) were the current tag team champions. They had been feuding frequently against The Natural Disasters. 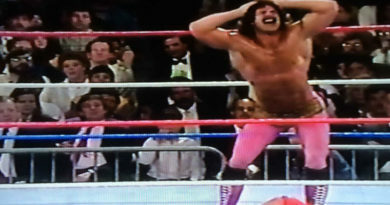 At the time, The Natural Disasters were managed by Jimmy Hart and not crowd favorites. Of course LOD were definitely fan favorites; however, Hawk (one-half of the tag team champions) was suffering from substance abuse problems and was being suspended by WWF. 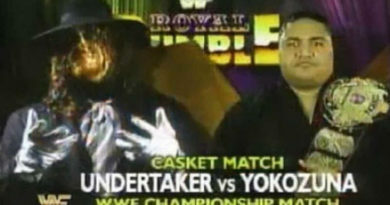 To immediately build up a new feud, the WWF did something interesting to make this happen and write LOD out of the picture. At a live event in Denver, CO on February 7th, 1992 the team of Ted DiBiase and IRS were substituted in place of The Natural Disasters to fight the Legion Of Doom. Even before the team was announced as Money Inc, they defeated LOD that night and became tag team champions. Several interesting things took place to appease the live audience at the house show prior to this match. At the show, President Jack Tunney addressed the audience, announcing that he was replacing The Natural Disasters who were scheduled to wrestle with Ted DiBiase and IRS because they had received “enough” title shots recently. The WWF finally made the announcement on Superstars of Wrestling on February 29, 1992 that LOD had lost the titles. 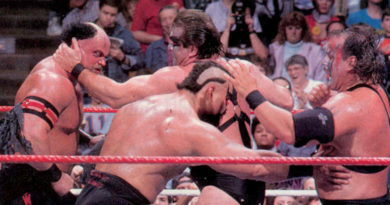 The story was told that The Natural Disasters manager – Jimmy Hart – told Jack Tunney that they didn’t want to fight LOD because Hawk was “injured” in a previous match against them. Instead Hart told Tunney that he thought IRS and DiBiase should wrestle and that Hart received permission from The Natural Disasters. This of course was a lie and DiBiase had paid Jimmy Hart to give him and IRS the title match instead. It was later revealed that Jimmy Hart was now Money Inc’s manager and was bought by DiBiase and IRS, now officially being known as Money Inc. Immediately following this discovery, it was announced that at Wrestlemania VIII, Money Inc would defend their newly won titles against The Natural Disasters. Here is a video of the episode of Superstars where the announcement took place. It starts around the 5 minute mark. Just like that, with previous fan favorites LOD out of the picture, The Natural Disasters became the new fan favorites and new story lines were born. 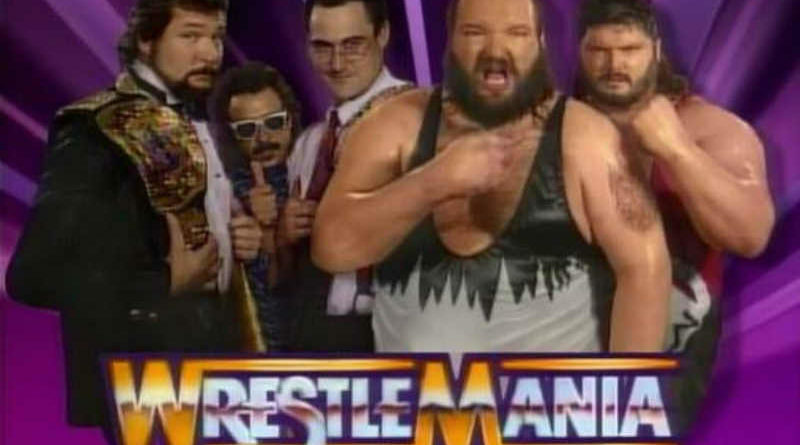 There you have it, the WWF creative team had to quickly write LOD out of the tag team picture and they were able to do it successfully by creating a great title match for Wrestlemania VIII and created one of the greatest heel tag teams of all time, Money Inc, in the process!